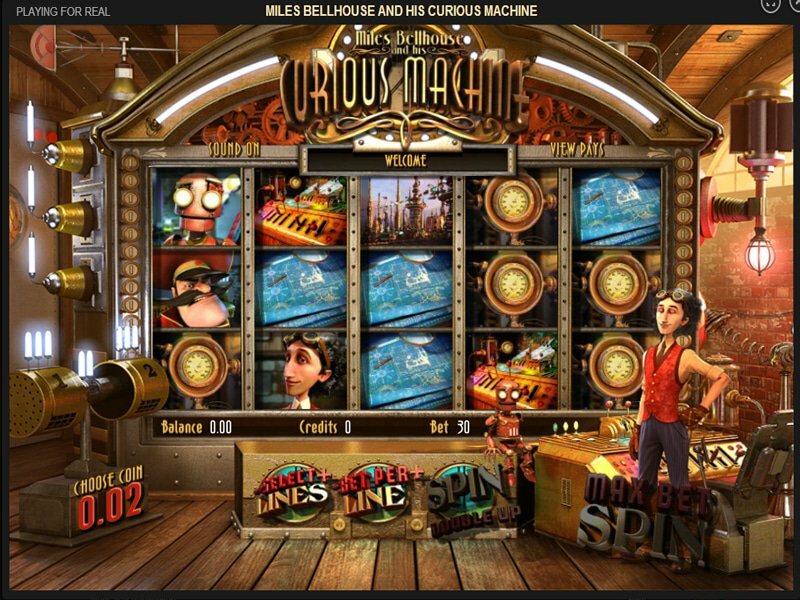 The Curious Machine casino game offering from Betsoft is by far one of the most mysterious and strange slots in the industry. Like other Betsoft slots, this is a five-reel, 30 payline game that offers a wide variety of betting options although players can also enjoy it as part of a suite of free games, as well. The main feature that sets this game apart from some of the other slots offered by the developer is the Double-Up Bonus game that occurs after every winning combination. Essentially, players can gamble their winnings after every spin for a chance at doubling them. Players will see a robot with both hands outstretched and closed. In order to win, the player must select the hand that is holding the coin. There is also a second-chance rewind function that kicks in when the player fails to win on any spin. This way, players can select a reel to 'rewind' and spin again for another chance to win. I have published this free game on my site which allows visitors to try it without spending a dime. The game took a little long to load, but while waiting the music started up quickly, and there was a short slid show of pictures to view which kept me entertained. This took the edge of impatiently waiting off. When I started playing, I didn't win a whole lot within the first few minutes, but I was on a constant winning stream. I was up $20 by the time I was finished, so that impressed me. I was landing on a lot of 'vortex wild's which keep the action going because I could win more without even spinning. I was also able to meet the robot and test my luck to see if I could identify the hand with the coins- I lost. I would like to hear your feedback on this game, so please leave your comments, or rate this game.